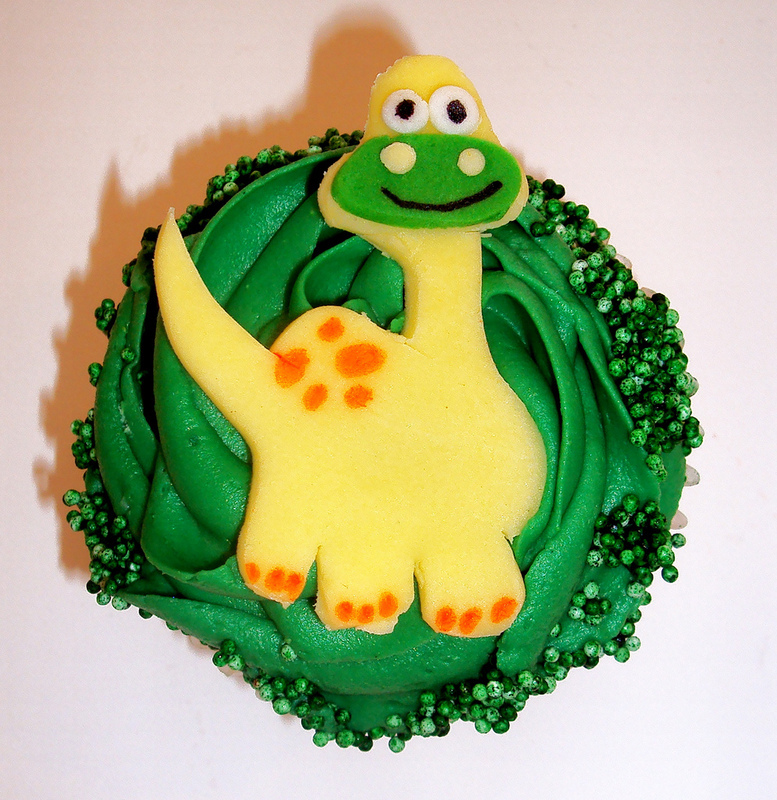 Create your own dinosaur cupcake cake are fun and develop your child’s imagination. To make your own dinosaur cupcake, you should have a dinosaur mold and icing. You can buy those mold from your nearest cookie store. 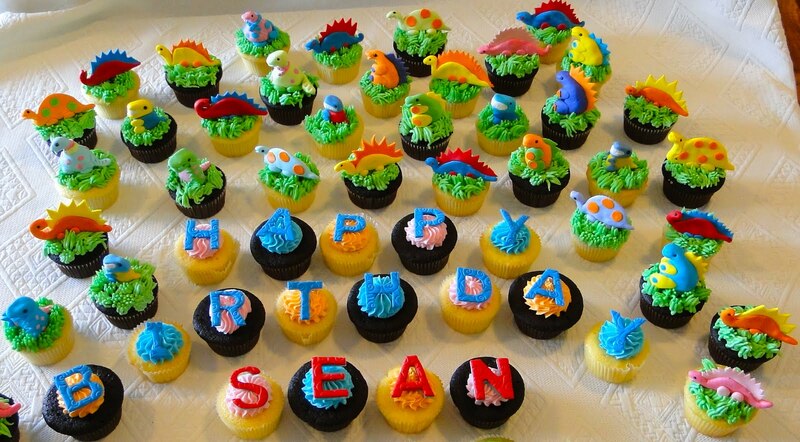 It could take about 15-30 to decorate the dinosaur cupcake, hey, that’s not a long time, that’s a great time with your kids. Now, please prepare some things that you need. 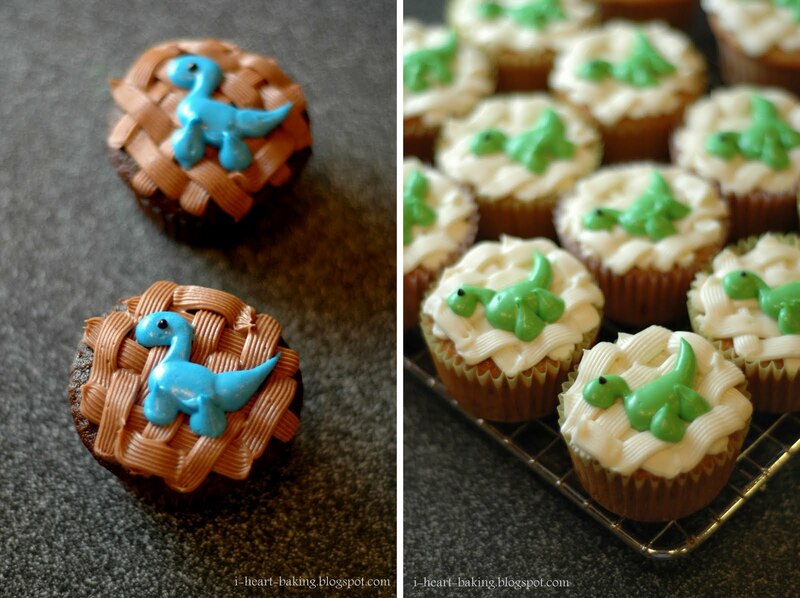 First thing, please prepare your dinosaur cupcake mold. You can buy in online or buy it retail that sell bake ware. Combine 2 1/2 cups all purpose flour, 1 1/2 cups sugar, 3 tsp baking powder and 1/2 tsp of salt in a mixing bowl. Add 1/2 cup of shortening, 1 tsp of vanilla and 1 cup of milk to the mixture. Beat mixture until it’s get smooth. 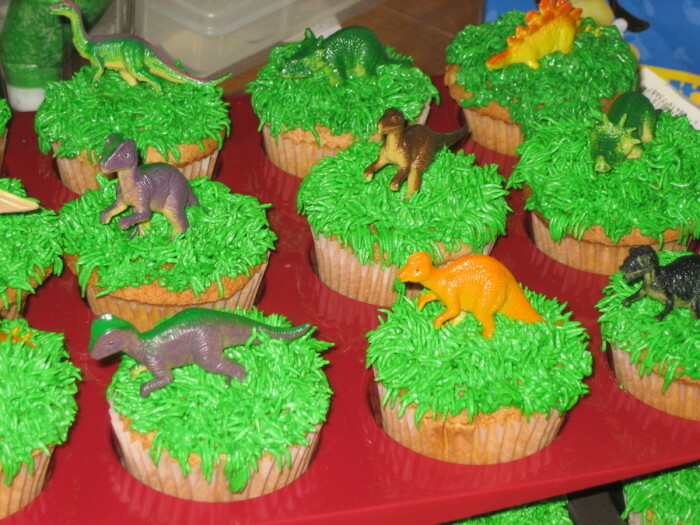 Please remember that you can use this mixture for 20 cupcakes. Now, add 2 large eggs to the mixture, beat again and wait until it’s smooth. 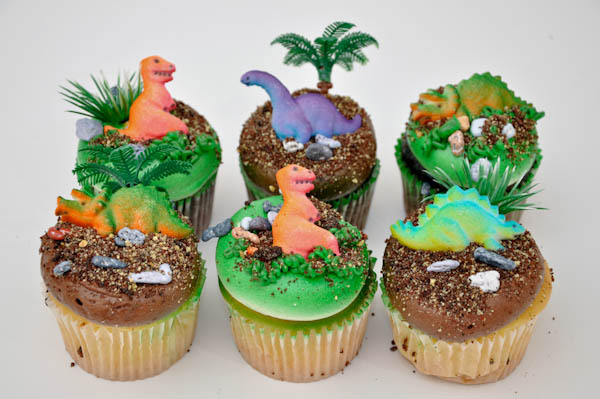 Now it’s the time to pour cupcake mixture into your dinosaurs molds. 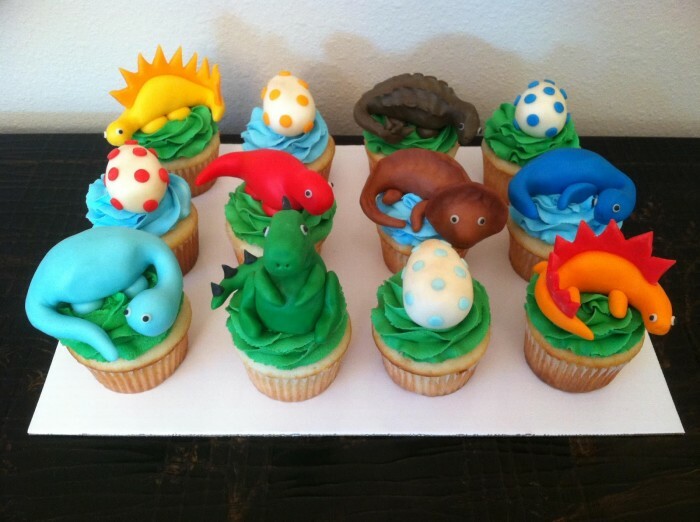 Please buy different dinosaurs shape, like T-Rex, Stegosaurus etc. Fill the molds one half to two-thirds full with batter. 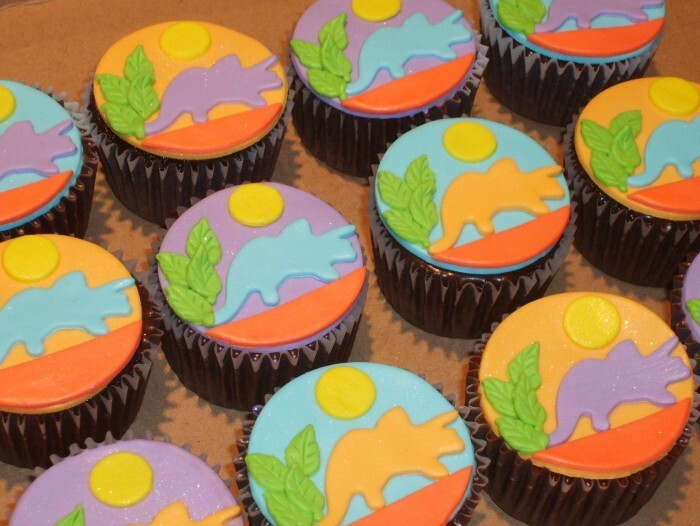 Now, Bake your cupcakes for 25-30 minutes. 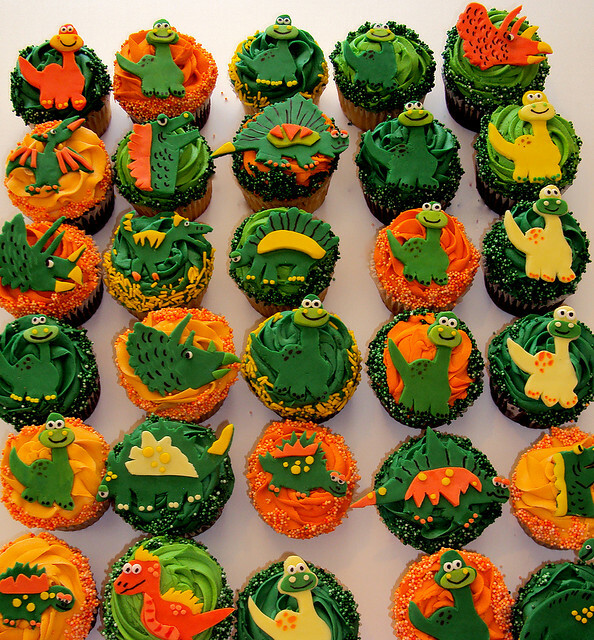 After that, remove the cupcakes and allow them to cool in the pans. Wait for 5 minutes. After 5 minutes, now you can remove it from the pans and allow it cool. Wait for 1-2 hours.